Martine Murray is the acclaimed Australian writer of The Slightly True Story of Cedar B Hartley, the Henrietta series and, for older readers, How to Make a Bird. 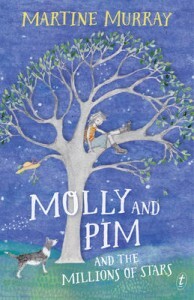 Her new book is Molly and Pim and the Millions of Stars (Text Publishing). 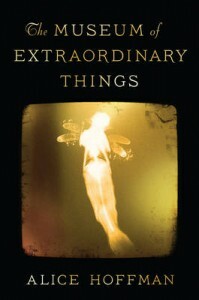 The writing is sensory and lyrical, with awe-inspiring imagery, especially about stars. 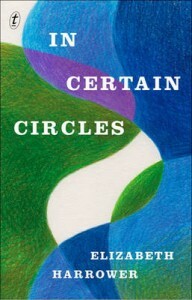 The singular characters share the book’s themes of truth and showing your true self with its primary-aged readers. 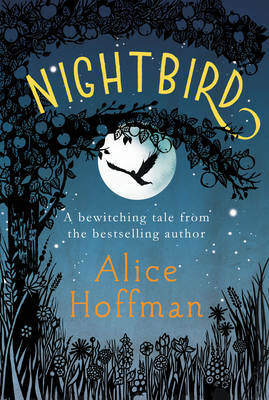 Alice Hoffman writes for adults as well as children, with The Museum of Extraordinary Things and Practical Magic (also a movie with Nicole Kidman and Sandra Bullock), but her latest children’s book, Nightbird (Simon & Schuster) has a similar tone and atmosphere to Molly and Pim. 12-year-old Twig’s mother has a mystical trait akin to that of Molly’s mother. They live in an old Massachusetts farmhouse with an apple orchard. Twig’s mother bakes apples, makes lavender honey butter and understands herbal remedies. Like Molly, Twig doesn’t feel she can reveal the truth about her family. The secret she hides is that her brother has wings but, unlike Molly’s nasty neighbours the Grimshaws, who want to cut down the fast-growing tree, the sisters who have moved into the cottage next-door to Twig’s become her confidantes. Twig and her new friend Julia compare their favourite books and authors. These include Wuthering Heights and E. Nesbit. Twig sometimes feels like the White Rabbit in Alice’s Adventures in Wonderland, panicked if she’s late or her family secret is discovered. These exceptional fantasies could be read individually or together. Their mystical, surreal touches transform the everyday into the wondrous. 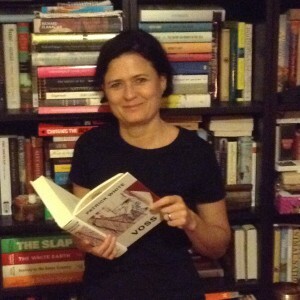 Thanks to Anna O’Grady for talking to Boomerang Books today, and sharing your Christmas picks with us. First, let’s find out more about you and some of the books you’ve been working on. You’re the Marketing and Publicity Manager at Simon & Schuster. What does your job entail? How much time do we have? I like describing it as ‘parenting’ a book and making sure that I find the best possible home for it. It all starts by understanding who would enjoy the particular title, and then the fun part of thinking of the best means of reaching that audience. Nowadays there are so many different ways that this can be achieved. In the last few months I’ve worked on creating online trailers and ads, organized blog tours, pitched titles to festivals, events and media and talked to our book loving community over various social media channels. 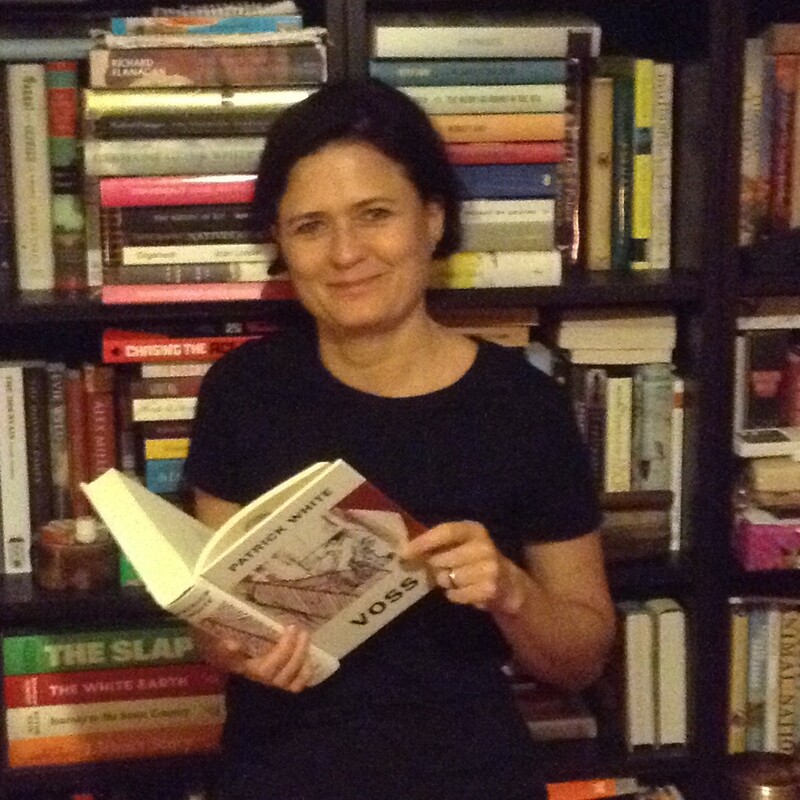 I am the third generation working in the book world from a family of booksellers and publishers. For the better part of my life I have been lucky enough to continue our family tradition across six different countries. However, bookselling is rapidly changing and for a few years I have wanted to try my hand in a publishing house. All the stars aligned really well this year and I ended up with the amazing team at Simon & Schuster Australia. I have learnt a tremendous amount but it also has been a lot of fun. What is different/special about Simon & Schuster? One of the things I really like about Simon & Schuster is that it is a small publishing house. There are just over 20 people in the office and that means that there are opportunities to try different things in different areas of the book business. For example, even though my official role is within the marketing and publicity department, I am also part of the acquisition team – so I have a chance to read new manuscripts and contribute to the decision on publishing these. I also really love the staff’s passion for books we publish within the Simon & Schuster program. A lot of larger houses release so many books that it is physically impossible for everybody to be familiar with all titles. Our publishing program is small enough that almost everybody in-house can read all the books we publish and be able to meet all the authors in person. I really love being in an office where everybody reads and where books are celebrated every day. I suspect you love all the books you work on, but could you tell us about some that you are particularly proud of? It has been quite a year for me, and I often feel in awe of the amazing authors that I have been taking care of. I will highlight two – only because they are so completely different. The first one was my campaign for debut author Ellie O’Neill’s book Reluctantly Charmed. Debuts are notoriously difficult to break out, but I felt special pressure on this one because everybody at Simon & Schuster loved this book. In the end we had a great campaign that was embraced by a major sponsor – Tourism Ireland – and also created a lot of buzz in the book blogging community. 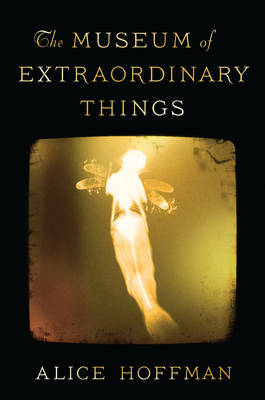 I am already looking forward to the second book from Ellie coming next year. 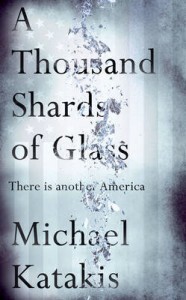 The other campaign that will probably stay in mind for a very long time was A Thousand Shards of Glass by Michael Katakis. Although Michael is a world class photographer, an overseer of the intellectual property of Hemingway and an author of very thought provoking books, he is very little known in Australia. We decided to bring him here for a tour and I had the task of arranging events and media for his tour. This took several months and many, many phone calls and emails to organize. Because Michael is relatively unknown some event organizers took some persuasion and were hesitant to the last moment. In the end the response to Michael’s tour was exceptional and well worth all our efforts. I have never seen such an emotional reader–writer reaction, with many people moved to tears at events, and many readers calling and sending emails – and in one instance hand delivering a letter of thank you to our offices. There is nothing more special than seeing that connection in front of my eyes and knowing that I helped make it happen. What do you see as the way forward in the book industry? I have been watching the book industry very carefully for at least 20 years now and I find some changes painful, but I also see a lot of great things on the horizon. I think that we might be experiencing a new golden age of storytelling. 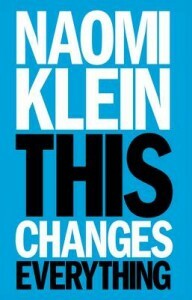 There are more people reading than ever before, and they access books in many formats and ways. But what is even more exciting is that readers have more to say, and the means to say it, than ever before. The future of the publishing industry is in deepening the connection to readers and embracing new ways of telling and experiencing stories. 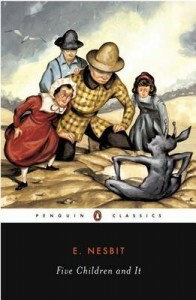 I have no doubt that great books and storytellers will always find their audience. What are your must-reads over Christmas? I have been building my little Christmas stack for a while now – and as usual I am probably overambitious. 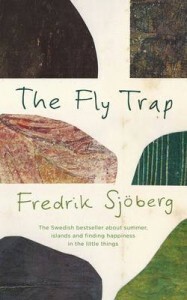 Here are the titles that are currently sitting in my Christmas pile: The Fly Trap by Fredrik Sjoberg; The Assassination of Margaret Thatcher by Hilary Mantel; In Certain Circles by Elizabeth Harrower; The Book of Strange New Things by Michel Faber; and This Changes Everything by Naomi Klein – but who knows what other gems I might find under my Christmas tree. I really enjoy many YA novels, love a good mystery, and have a fascination with horror fiction. For me some of the great horror and crime writers are amongst the best at the craft of writing – although critics often disregard them. Thanks very much for speaking with us, Anna. You’re most welcome, it’s been a pleasure.